A potato snack to be used in a mix or eaten on its own. 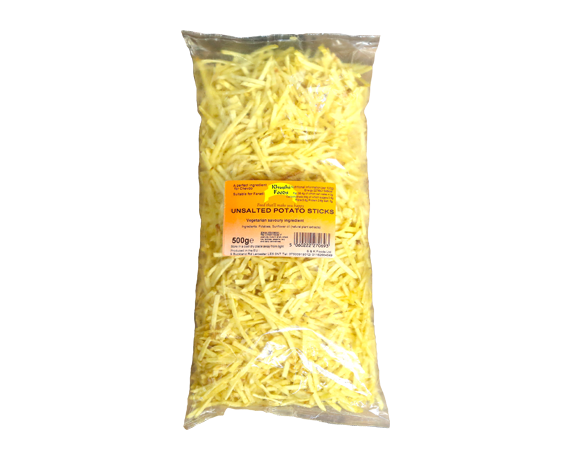 Our Potato sticks are made from the finest of ingredients including pure sunflower oil. Potatoes, sunflower oil, natural plant extracts. Suitable for vegetarians. Suitable for Farari. Made in a factory which handles nuts, dairy, rye, soy, wheat and sesame.